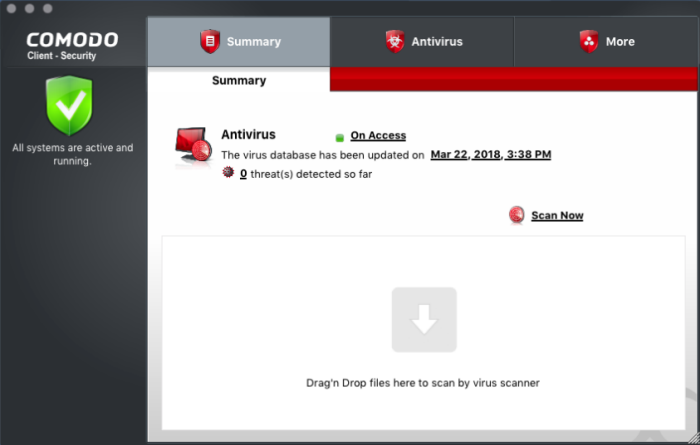 Comodo Client - Security (CCS) for MAC offers complete protection against viruses, worms and Trojan horses for MAC OS X based computers. The software is easy to use and features real-time virus monitoring, full event logs, cloud-based analysis of unknown files and more. This guide explains the basic usage of CCS to ITSM admins and end-users.